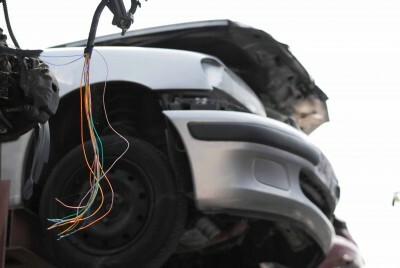 Have you had your end-of-life vehicle valued for scrappage recently? If so, the chances are you will have been surprised at the amount of money you’d receive. As with other commodities, scrap metal experiences fluctuations in its value, driven largely by the world market. Presently, the British and European steel markets are experiencing an oversupply of materials, resulting in a greatly reduced demand. This has hit prices somewhat in the last couple of years. Furthermore, exports of cheaper Chinese steel have also been blamed for forcing down the value of UK scrap prices. As the Chinese economy has stalled worse than anticipated, their steel surplus has been offloaded into the European marketplace at uneconomic prices. Another reliable indicator of global steel values is the Turkish TSI index. Although the index has experienced steady improvements in values during recent years it has still not yet reached pre-recession levels of 2007. If you don’t have a bottomless pit of money, the chances are you may well be priced out of the new car market. That’s not the end of the world however. Purchasing a brand-new car is not always the most sensible investment given that its value falls markedly from the moment you drive it off the forecourt. A more cost-effective alternative to purchasing a new car – one which offers fantastic value for money – is to acquire a salvage car. At ASM, we help modern motorists manage their driving finances. Car salvage auctions are one of the main services that we offer, our online salvage auction offers over 2,500 cars, vans and motorbikes for sale every week and we have a further 1,500 vehicles for parts dismantling. Today, we’re going to explain how any driver can benefit from purchasing a salvage vehicle from us. Put simply, a salvaged car is one that an insurance company no longer considers fit for use on the road in its current state. If a vehicle has been in an accident, stolen or weather-damaged and repairs will cost more than the vehicle is worth, the insurance company will write it off and take possession.